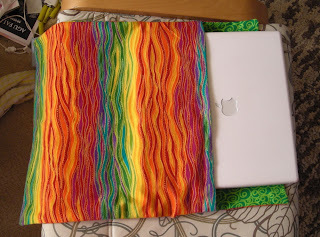 Here's a great handmade christmas present I got from W. It is a flannel sleeve custom made for my iBook that replaces the old pillowcase. I recently had my wisdom teeth taken out and recovery gave me some time to make progress on my newest project, a herringbone stitch scarf. Details are available on my Ravelry page. As are some of the other projects I've finished recently. 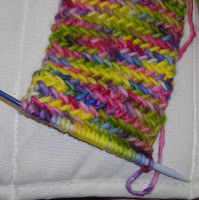 I really like it, its a very dense stitch and should be nice and warm. 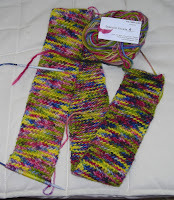 It tends to knit up skinnier than stockinette, hence the skinny scarf. Nonetheless, because its so dense, not having to fold it over will be a good thing.